Last weekend I had the pleasure of going to the Bazaar Bizarre, where purchased a number of lovely things! 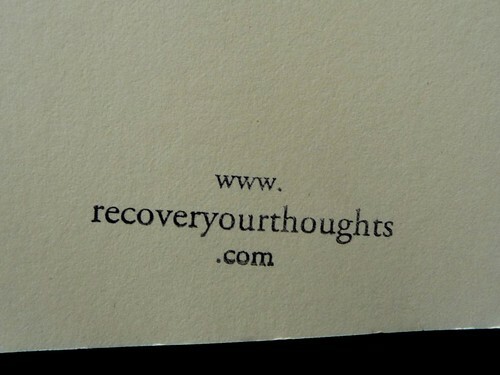 First, this notebook from the folks at Recover Your Thoughts. I saw this on the shelf, and for reasons I will not have to explain to you, purchased it immediately. I am a total sucker for notebooks, and this one, made out of a recycled library book, was quick to steal my heart. 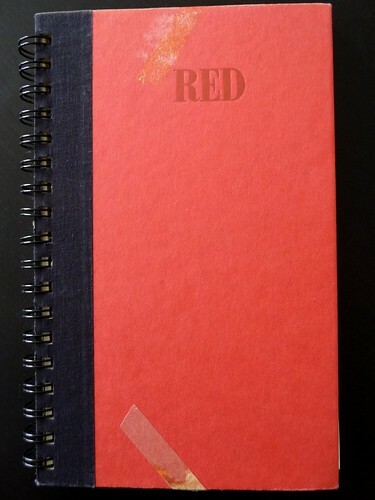 After some research, I figured out that the notebook began it’s life as Red: A Biography of Red Smith . 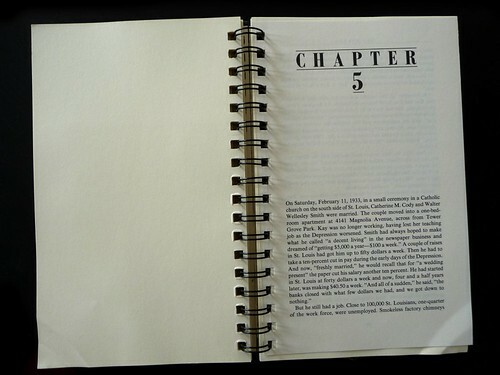 On the inside, it had pages from the book interspersed with the blank notebook pages. They are evenly spaced throughout the notebook so they can be used as dividers. Neat! I also picked up this sweet notebook cover from eleveneleven.net. It seems waterproofish, and will fit over and standard comp book! 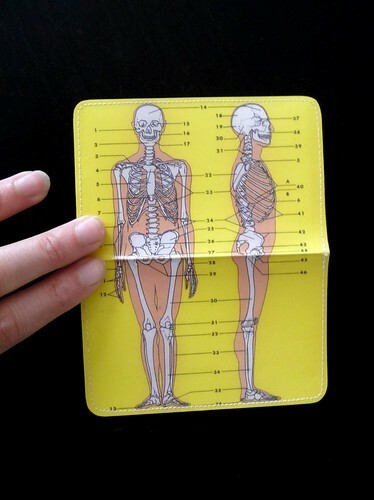 I also couldn’t resist their cardholders, which come in equally delightful anatomical patterns. What awesome stuff have you guys bought lately? Gosh, I love the idea of using recycled library books! I’m always taking discards from my local library for my own crafty purposes. Recent purchases that I love include a bunch of goodies from Lush, a sweatshirt styled like a leather biker jacket, and an oversized t-shirt/dress from French Connection with a wolf on it that I got for $20. Lush is pretty awesome. I don’t go there enough! & That sweatshirt sounds interesting. got a pic? There are a few others in my photostream as well. That library book journal is *fantastic* ! What a lovely idea. I always feel so sad seening old books being thrown out. I want to rescue them and give each one a loving home. 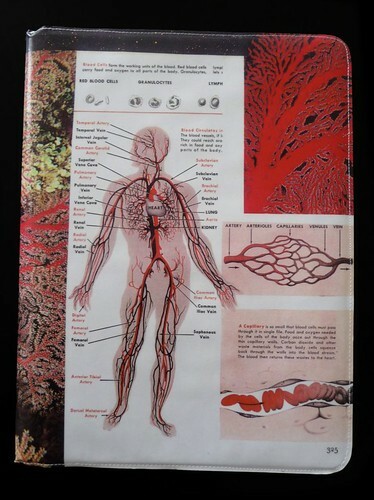 Teen fashion catalogs. 80 s fashion. Full figure fashion. Fashion jewelry. Japanese fashion. Fashion designer. Fashion designers. Fashion hosiery. 1930 s fashion….